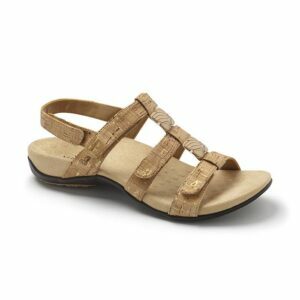 The Waldlaufer Hola Black Combi is a comfortable and lightweight sandal, perfect for your busy day! The Vionic Amber Black Croc is the fusion of style and comfort. The Vionic Amber Gold Cork is the fusion of style and comfort. Adorned with a feminine bow that's trimmed with the Vionic "V" logo, this toe-post style is the perfect sandal to slip on day or night.